The Los Angeles Times finds Rhyolite. 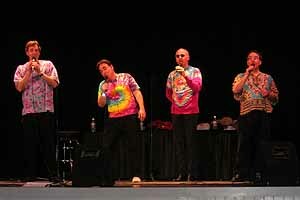 The Edlos at the Eureka Opera House. 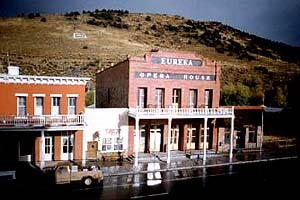 The Eureka Opera House is reknowned for presenting top performers. 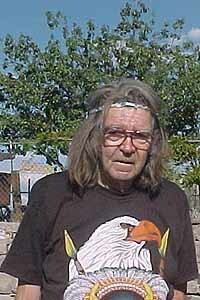 Bad News from Goldfield Slim Sirnes, the celebrated aluminum artist and art car czar of Goldfield, has passed on. A memorial service will be held when the weather warms up. More about Slim here,here, and here. Dragon Boats on Lake Las Vegas. 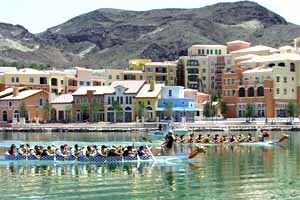 The 2006 Dragon Boat Festival will take place at Lake Las Vegas Resort on April 21 and 22. Originating in 4th century B.C. China, dragon boating is a team sport featuring 44-foot, solid teak war canoes with 22-person crews (20 paddlers, drummer, and steersperson. In a battle of technique, synchronicity and team-spirit, each crew competes in two 500-meter race heats with an optional 250-meter sprint challenge. Competing crews come from around the USA and Canada. Opening ceremonies will take place on Friday, April 21 at 7 pm in MonteLago Village at Lake Las Vegas Resort. During Saturday’s races a festival of food and family fun takes place on shore. Proceeds raised through the Dragon Boat Pledge Program will benefit the Nevada Childhood Cancer Foundation. Team registration and additional Dragon Boat Festival information is available by calling FMG Dragon Boat at 1-888-679-4222 or via their website. 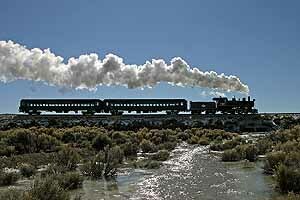 The Ghost Train of Old Ely begins regular weekend service April 15. Memo from William L. Withuhn, curator, Division of the History of Technology at the Smithsonian Institution: “Among all railroad historic sites anywhere in North America, the Nevada Northern Railway complex at East Ely is — no question in my view — the most complete, most authentic, and best cared-for, bar none. It’s a living American treasure and a stand-out one.” The opening weekend of the 2006 season is April 15 and 16. Train times are Saturdays Steam at 1:00 pm and Diesel at 4:30 pm. Sundays, Steam at 9:30 am and Diesel at 1:00 pm. 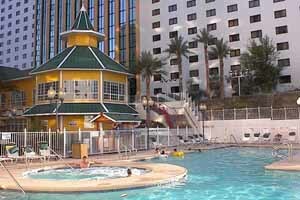 I’m thinking it’s time to pack my bag for Laughlin, the one place in Nevada I never get any work done. 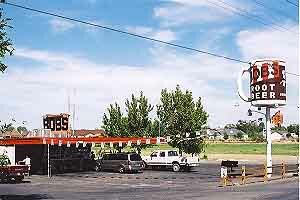 Bob’s, on the west side of Fallon, is closed forever, sob. 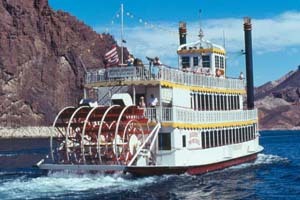 It’s perfect weather for a Lake Mead cruise on the Desert Princess. ownership of Jessie Beck; in 1975 NLF and Hanoi forces were sweeping through Vietnam toward Saigon and Cam Ranh, with two province capitals falling without a shot being fired; in 2003 U.S. forces invaded an Iraqi hospital at Nasiriyah to seize Private Jessica Lynch (earlier the Iraqis, who saved Lynch’s life, had tried to turn her over to U.S. forces who refused to accept her). I like the mix of Nevada and world events, and the perspective it provides. Dennis will add you to his list if you e-mail a request. There’s a Nevada post-script to the Calley story: Lt. Steve Kosatch, the officer who took over Calley’s unit when he was dragged off in disgrace, is now a judge in Reno. 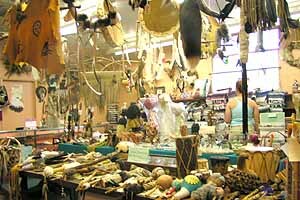 A hidden Treasure on US 95 isAuntie Moe’s Trading Post at Indian Springs, filled with a wonderful selection of Native American goods. 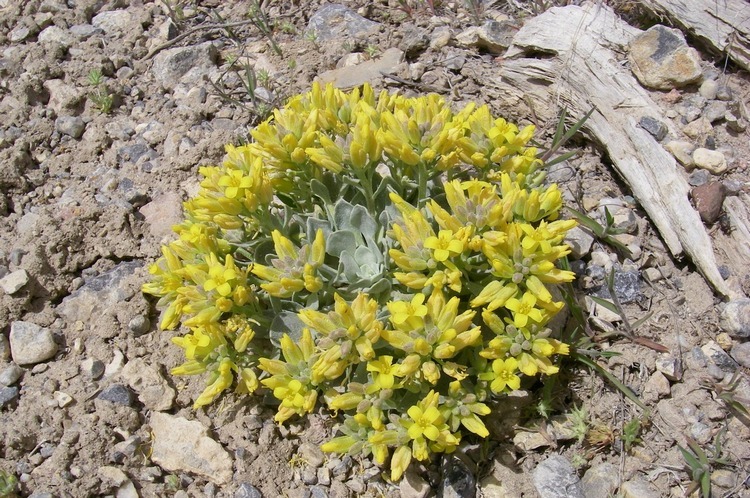 Quick notes from beyond the mountains: Is Wendover Burning? In its February 2nd edition, Wendover’s weekly High Desert Advocate published on its front page the celebrated Danish cartoons of Muhammad. 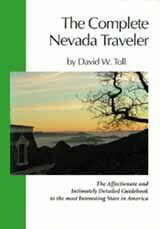 Publisher Howard Copelan is the only Nevada newspaper proprietor willing to be politically incorrect and risk the wrath of Muslim fundamentalists . . .Intermountain Guide Service offers van tours to the Bonneville Salt Flats, also ATV and Horseback Riding tours into the mountains north of Wendover. They pick you up at your hotel and take you up to the mountains for an unforgettable ride: you see the salt flats for miles, there are big horn sheep, wild horses and for four or more they will do a dutch oven dinner . . . And, since Wendover seems to be the topic of the day, here’s a great site about the airbase . . . The Stardust brothel In Ely is on the market . . . Casino Express, the junket airline serving the Red Lion Casino and the other McClaskey properties at Elko since 1986, has shut down operations there. Renamed Xtra Airways, it is adding planes based at Wendover for gambling flights from cities around the country to the Peppermill, the Montego Bay and the Rainbow . . . McAvoy Layne, who begins his day with the New York Times, was no doubt gratified to see his photo in the April 2 edition accompanying the Associated Press story about the First Presbyterian Church in Carson City. Some folks want to take it down and replace it with something newer and nicer, others want to preserve it for its historic value. Orion Clemens, Sam’s brother, was a member of the congregation, and Sam raised $200 to help build the church in the first place, by holding a “roast” of the Territorrial legislature.